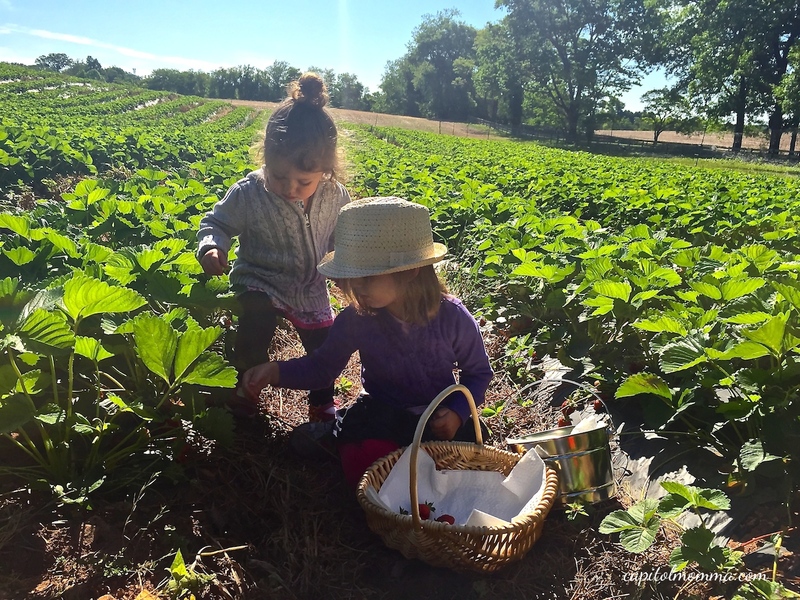 My girls absolutely love picking berries in the spring and summer months. They were extremely excited for our first picking adventure. I really enjoy taking them to farms so they can learn where our food comes from and also have some good ol’ fashioned fun! 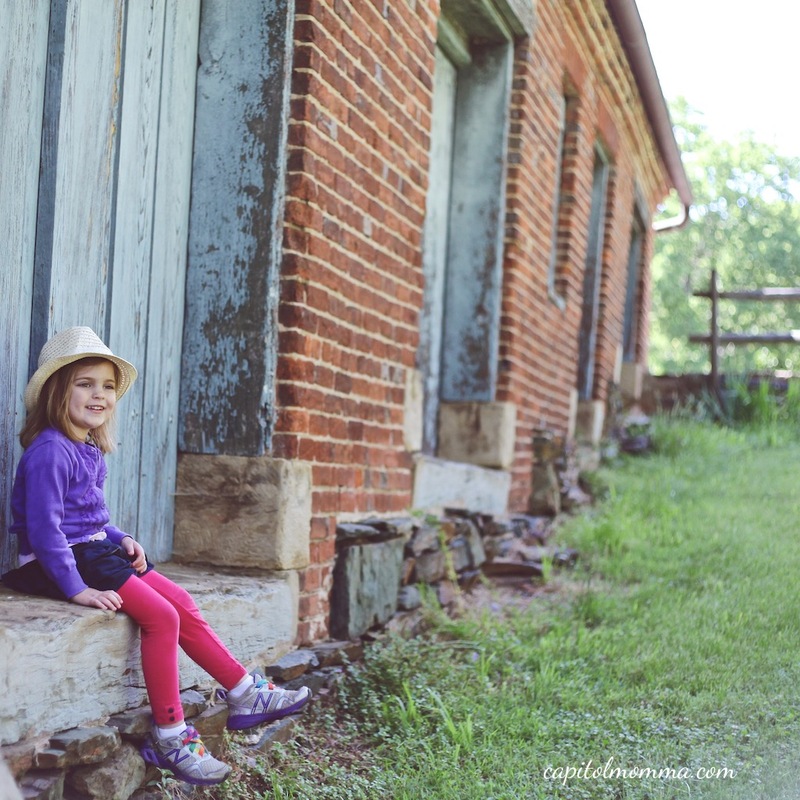 Oatlands seemed like the perfect place to go pick, since we would also get to explore the beautiful mansion grounds I had heard so much about. After arriving, we went into the Carriage House to purchase tickets for the hayride out to the strawberry fields. It’s about a 5 minute scenic ride out to the fields. My girls especially loved this part. Once we arrived at the strawberry fields, we were greeted by friendly staff in 1800s era-themed costumes and they directed us to our row in the patch. My girls had so much fun picking the berries and would squeal when they found an especially large one. The strawberries were so plentiful, we didn’t have to move very far down our row. Clara and Mae were just a little disappointed when we had completely filled our baskets and had no more room to pick any more! Wegmeyers berries are so sweet, juicy, and perfect. I can’t even really describe how good they are! We headed to the strawberry hut to pay for our berries and the girls were excited to get stickers and official strawberry picker coloring books. The wagon took us back to the Carriage House and from there we walked over to the historic mansion to explore the four acres of gardens. 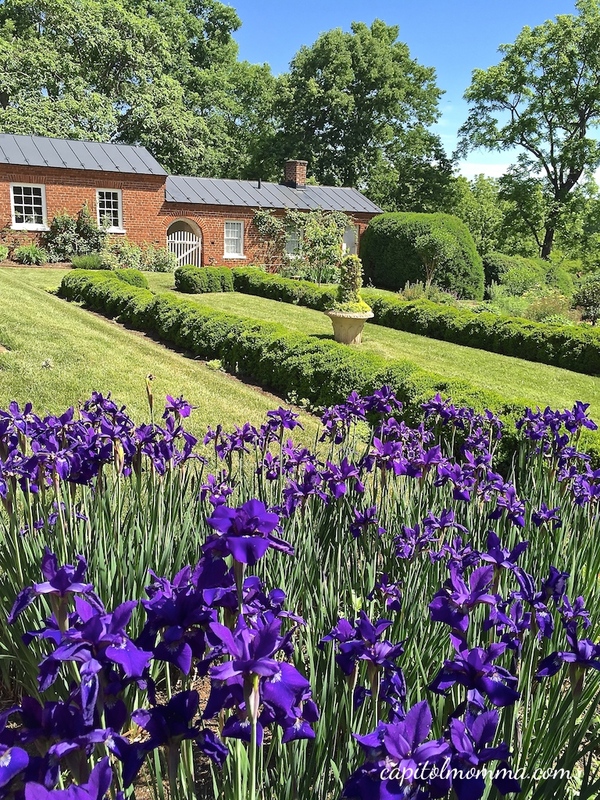 The peonies and irises were in full bloom! 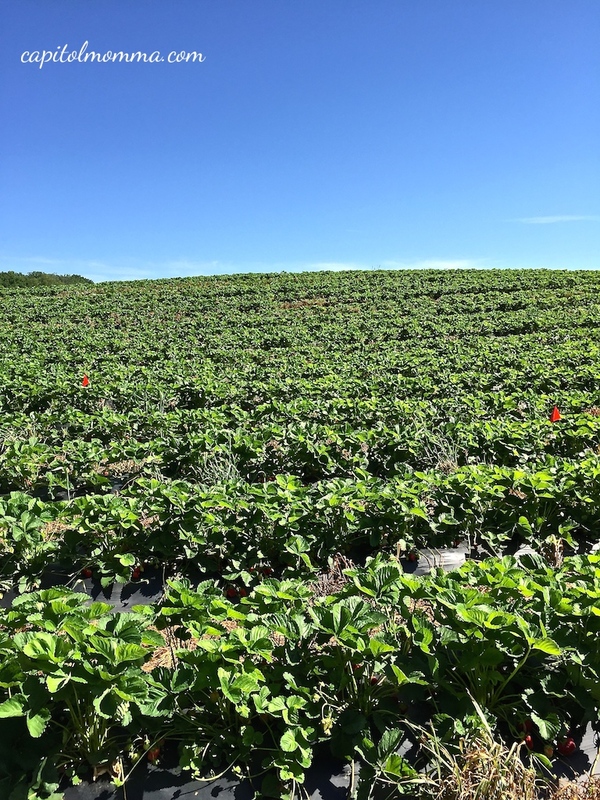 I highly recommend berry picking at Wegmeyers Farms Oatlands location. 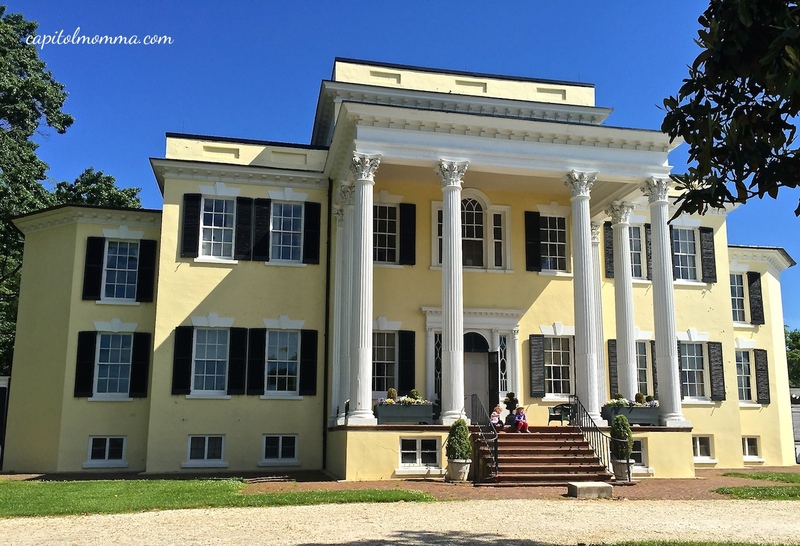 It was such a unique experience with the history and beauty of the property. There are about 3 weeks left in the season, so hurry and go visit them! For more information on the other two picking locations, check my blog post here. And don’t forget that if you pick on a Thursday (Family Picking Day) this season, mention Capitol Momma and receive 25% off! 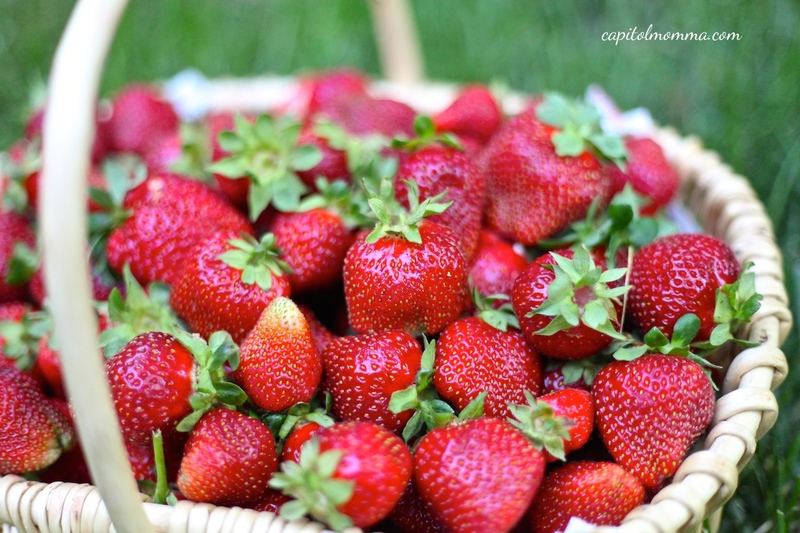 •Strawberries are $3.99 per pound. •Thursdays throughout the season are Family Days. Receive a 25% discount by simply mentioning Capitol Momma. •Don’t dress your children in their nicest clothes. There’s a good chance they are going home with strawberry stains. Totally worth it though! •Containers are provided or you can bring your own. Just ask them to weigh your container first if you bring your own. •The Carriage House has a restroom. •No food is sold here but you are welcome to bring a picnic. We are ready for summer! 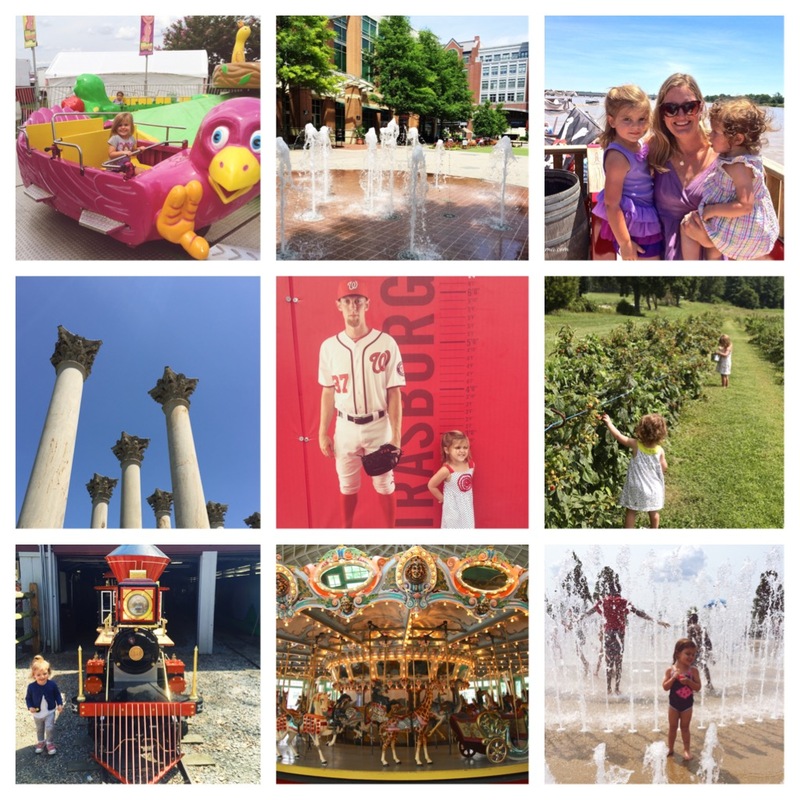 There are so many fun things to do in the DC area and every summer seems to go by faster and faster. This year I decided to make a list of our top activities that we want to do. 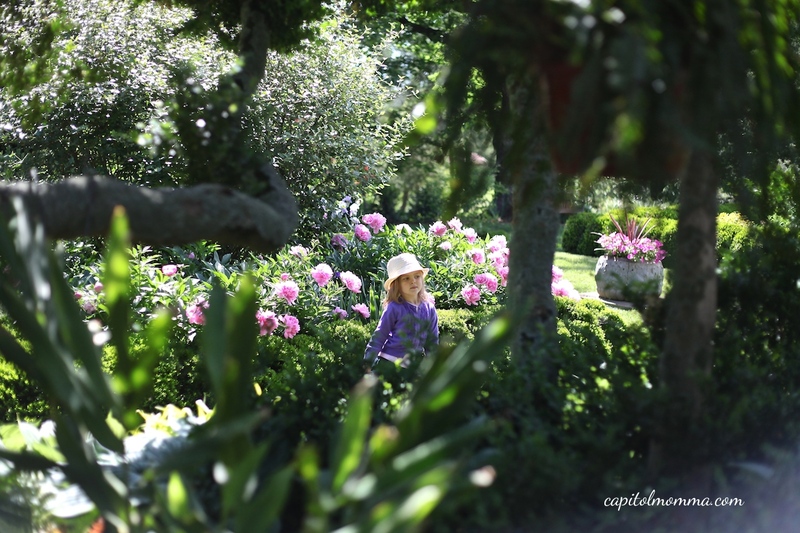 This is also Clara’s last summer before starting a full day pre-kindergarten program in the fall. So, we want to make this one count! 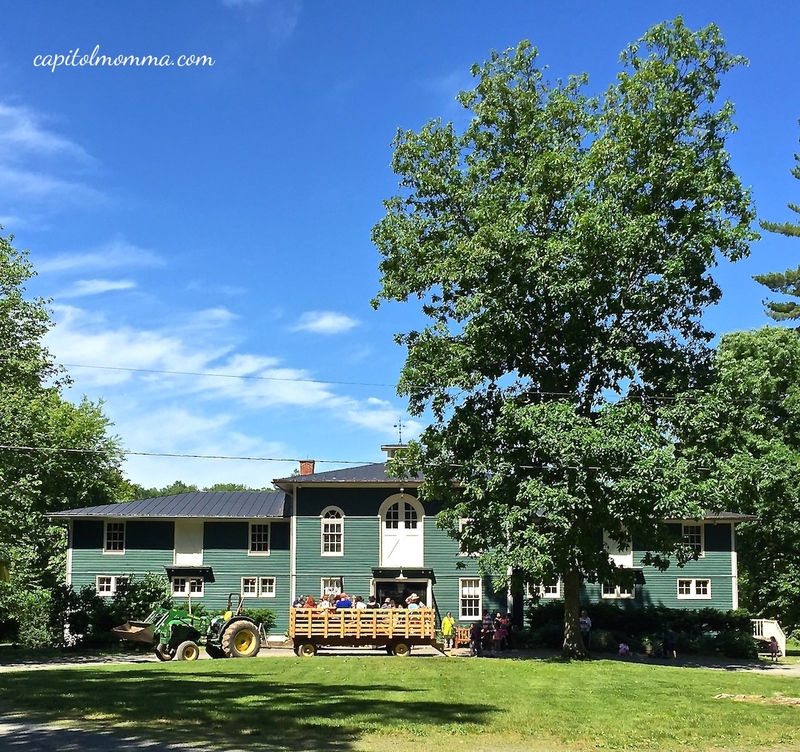 In between trips to Nebraska and Rehoboth Beach, camps, pool time, bbqs, and tennis and swim lessons, we hope to fit these other fun things into our days. Some of these activities are our tried-and-true favorites and some are new things that we will be doing for the first time. I hope this gives you some good ideas of fun things to do with your family. Hooray for summer, it’s going to be a good one! 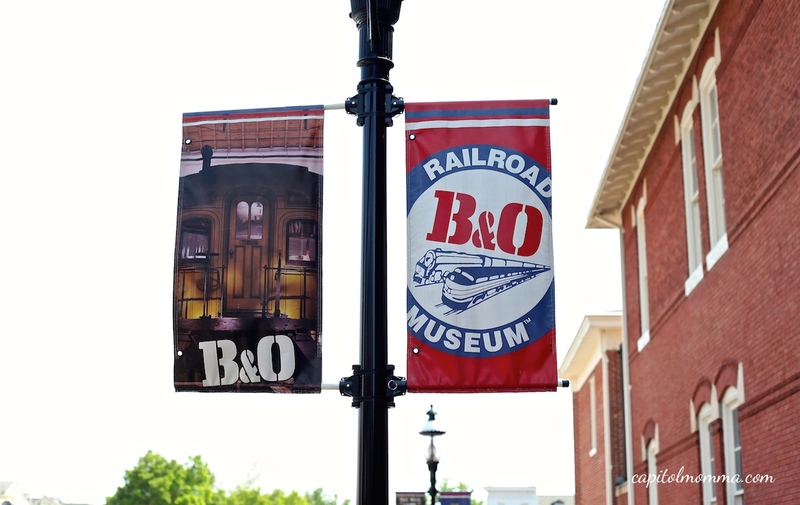 This was our first trip to the B&O Railroad Museum and also our first time attending the Day Out with Thomas event so we didn’t know what to expect. It turned out we were pleasantly surprised by the museum and my girls were thoroughly entertained with all the activities offered at the event. 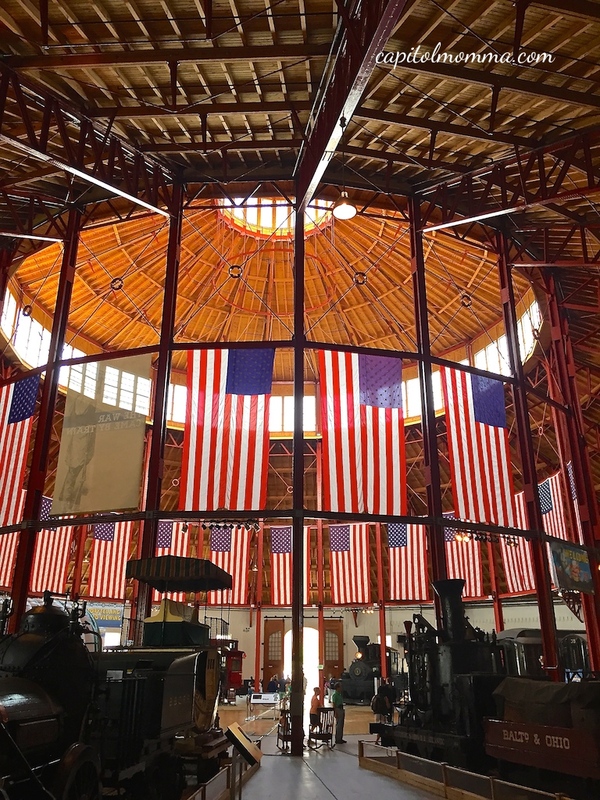 We first entered the Roundhouse which is a really striking building with all the American flags hanging above the historic trains. 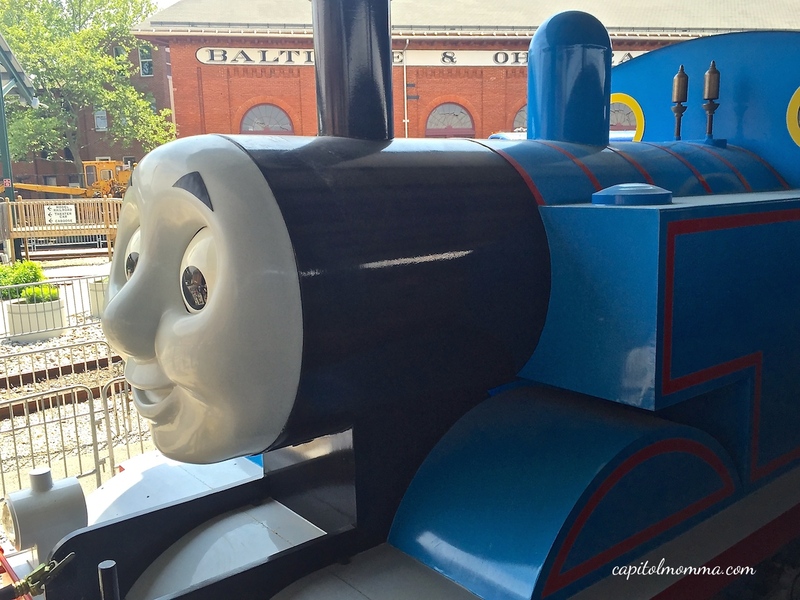 We walked through the interactive train exhibits and then my girls spotted the Thomas themed train tables. 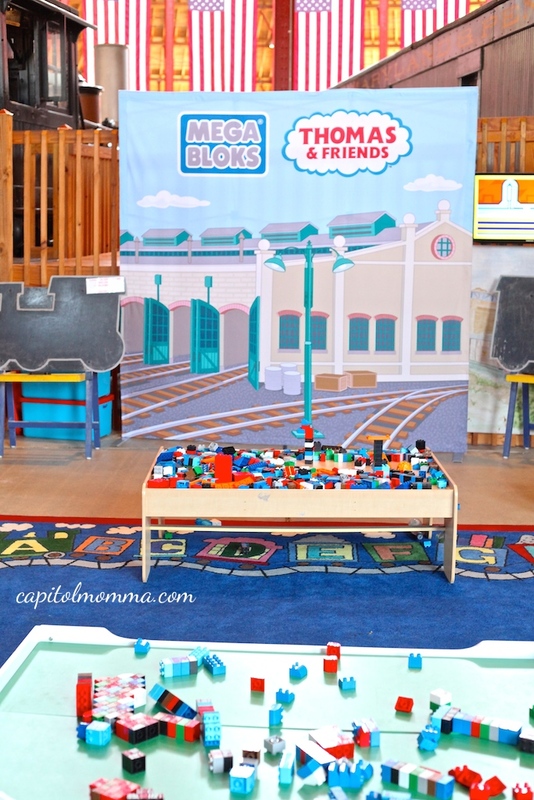 There were lots of different train and lego tables set up for the children to enjoy. 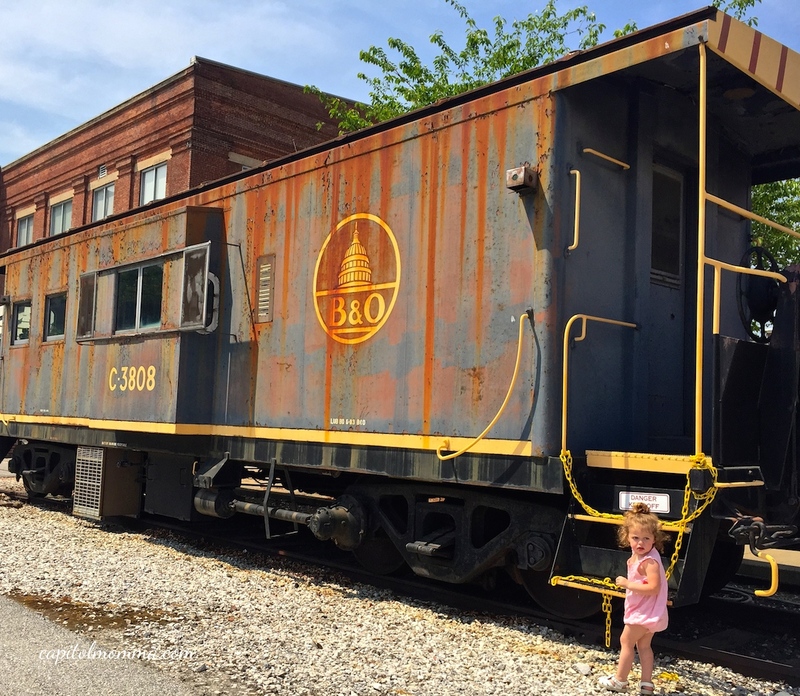 In this area, there is also a Choo-Choo Blue Train Depot that my girls had fun playing in and dressing up as train conductors. It was then time to board the train for our ride behind Thomas the Tank Engine. This ended up being my girls least favorite part of the event. We waited on the train for about 10-15 minutes while everyone boarded. Then the train went on a very slow and not-so-scenic ride that lasted 25 minutes. It was just a little too long for them. 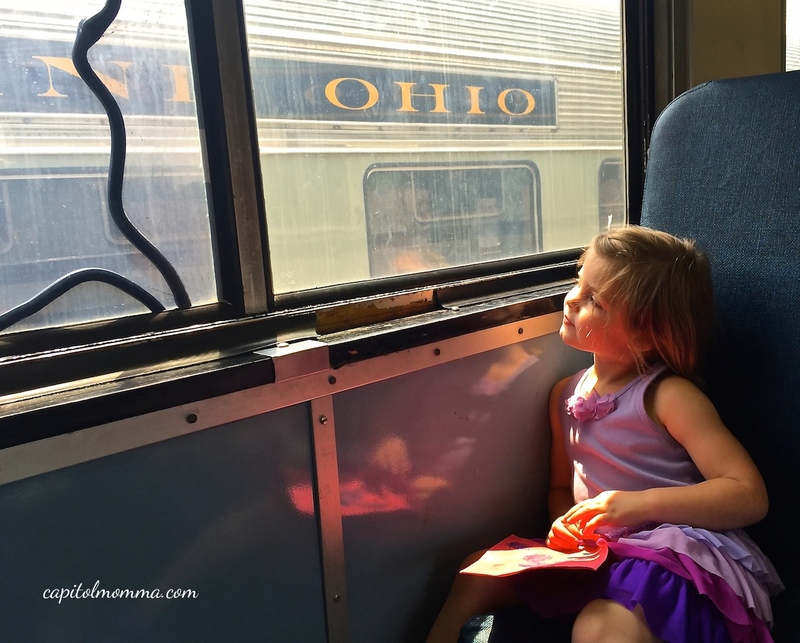 They were anxious to get off the train and check out all the other activities. The next thing that caught their eye was the carousel and another carnival type ride. It was nice that the lines for the rides were not long at all and did not cost extra. There were so many other fun things to do here including a train themed playground, crafts and tattoo stations, hay maze, and moon bounce. My girls especially loved the petting zoo that had 18 different types of animals. The performance by Junk Rock was also a big hit with my girls. They were fascinated with watching them drum and dance and even joined in on the fun! We spent three hours at the event, so my girls were pretty tired. 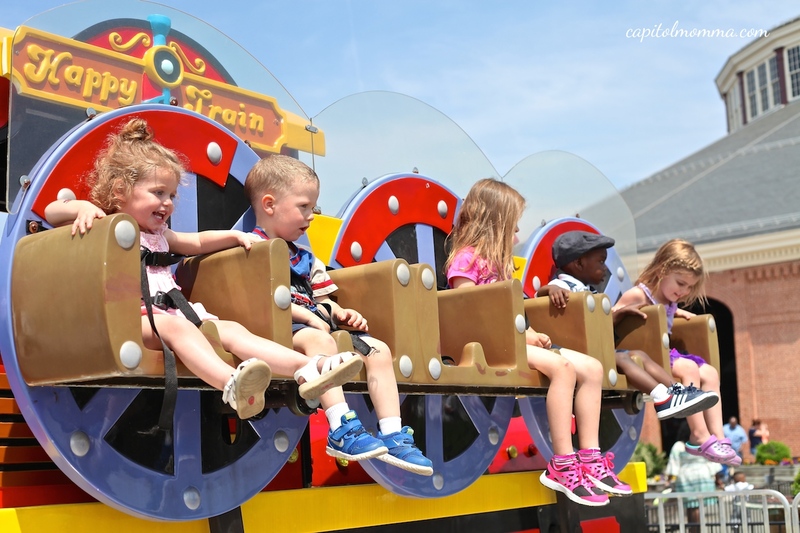 There are so many fun activities that any younger child is sure to have a great time. My girls aren’t even huge fans of Thomas and loved it. I would definitely recommend this event to parents of toddlers and preschoolers. On our way out, we stopped in the gift shop that was full of Thomas the Tank Engine merchandise. I let each girl pick out a toy and they were as happy as can be! •Admission $21 per ticket for ages 2 and up. •A few activities require an additional fee. •Parking is free and secure. •Food concessions offered throughout the event. •Designated stroller parking available. Strollers are not permitted inside the train. •Bathrooms with changing tables available in the museum. Welcome to the first post of my new Monthly Roundup series. I will be recapping the things we did and places we went at the end of each month. 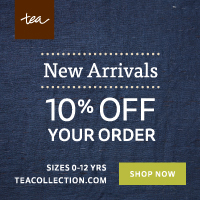 I hope this will help you to discover something new you want to do with your children! April was a really fun month full of gorgeous color from all the spring blossoms. My girls were eager to spend time outdoors as the weather got nicer. • Blue at Imagination Stage – no longer showing but I recommend any of the shows in the “My First Imagination Stage” series for ages 1-5. We’ve seen all of them and they are all great! The next show is Aquarium, June 27-July 26. I hope this roundup has given you some ideas and inspired you to explore something new with your kids! 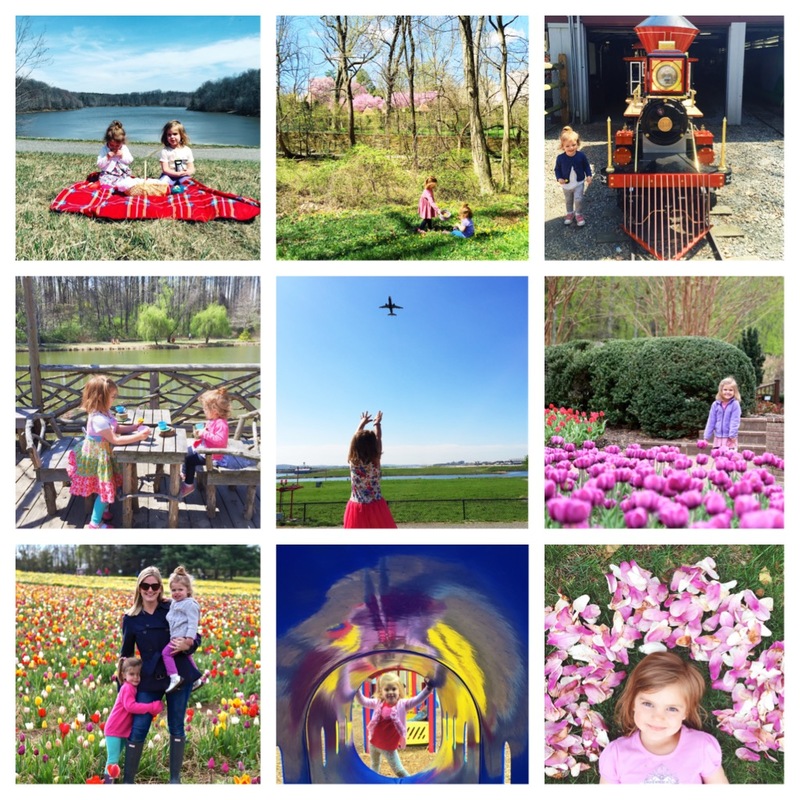 I use instagram as my everyday blog and share a lot of photos from our adventures on my feed. I also share more information and photos from our field trips and outings on facebook.